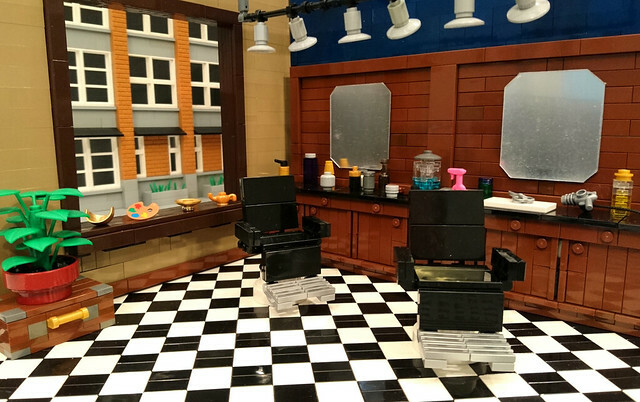 My first reaction upon seeing this lovely barber shop interior by builder Heksu was "I need a haircut", I view that as a positive since it wasn't "hey, look at the LEGO". I saw it as a real place that could take care of the disaster area on top of my head. Fun fact: I used to be the make-up artist for the local chapter of the S.P.E.B.S.Q.S.A. (it's a real thing, look it up).